Last night Ealing Council voted unanimously in favour of creating a safe zone around an abortion clinic in the borough following complaints of harassment by anti-abortion protesters. The campaign for introducing a ‘buffer zone’ around the Marie Stopes abortion clinic in Ealing has been championed by Labour MP Rupa Huq, who organised a letter setting out the case to be signed by 113 MPs and sent to the Home Office. The decision has been welcomed as “very good news indeed” by Liberal Democrat peer David Steel, who originally sponsored the Abortion Act 1967, which legalised abortion by registered practitioners for the first time. 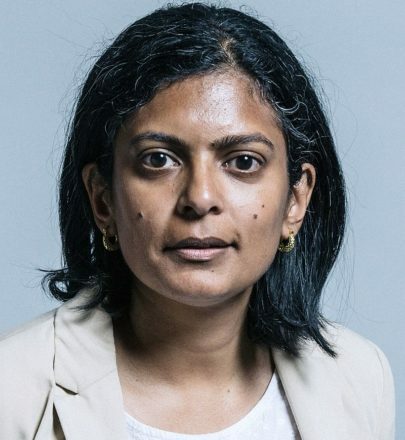 In a piece for LabourList, Rupa Huq wrote: “The way my blood pressure has risen at the actions of ‘protesters’ congregating outside my local abortion facility predates me being an MP. Commenting on the cross-party support, Huq said: “I don’t agree with lots that the Lib Dems have done… but I have enormous respect for Lord Steel. David Steel recently told the House of Lords that he is still sent hate mail as a result of his stance on abortion. Rupa Huq has also revealed she has been called a “murderer” in response to the campaign, and that her parliamentary office has received “plastic foetus dolls” in the post. The Labour MP is urging the Home Office to make the results of the feasibility review into a nationwide roll-out of ‘buffer zones’ to be made public. Although the Home Secretary Amber Rudd called for evidence to be submitted last year, Huq said “it’s all gone a bit quiet since”.